My dad religiously gargles with salt water every day. Every. Single. Day. He’s super disciplined about it. But are there real benefits of gargling with salt water? Or is it just an old custom founded in … being an old custom? Off to the research-mobile I went. Surprisingly, there are actual, proven benefits of gargling. Here are just a few of them. I found there are a couple concepts behind the benefits of gargling with salt water. The first is related to diffusion gradient or osmosis. Oh the days in science class! Remember fluid likes to move from a less concentrated solution to a super concentrated one through a membrane to equalize the solutions. Salt water acts like the super concentrated solution. The fluid in bacteria and other microbes act like the less concentrated solution. So the fluid will move out of the microbes and into the salt water. When this happens, the microbes become dehydrated and die! A 2014 study out of Korea explored the benefits of regular teeth brushing and use of 4% hypertonic saline solution mouthwash. The researchers found these actions decreased the number of oral bacteria, oral tongue plaque, halitosis (bad breath), and even dry mouth. Another study from 2017 found salt water rinses reduced dental plaque and oral microbial counts. The bacteria in the study were Streptococcus mutans, Lactobacillus acidophilus, Aggregatibacter actinomycetemcomitans and Porphyromonas gingivalis. Porphyromonas gingivalis and Aggregatibacter actinomycetemcomitans are linked to gingivitis and periodontitis. These cause your gums to become inflamed, swollen and painful (i.e. gingivitis). Eventually, gums may pull away from teeth, which may become loose (which is periodontitis). Yikes. I should also mention Porphyromonas gingivalis is associated with rheumatoid arthritis. Let that soak in for a minute. Oral hygiene affects your joints! 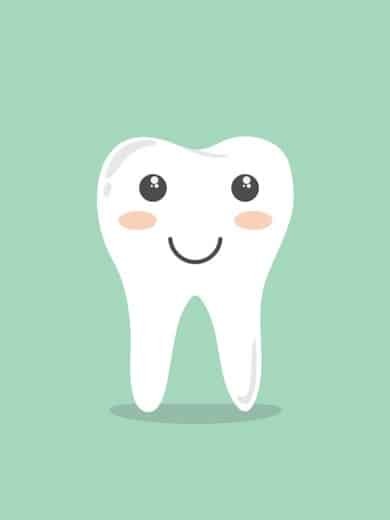 So by killing bacteria, gargling with salt water reduces your risk of gingivitis, periodontitis, inflammation of your gums and rheumatoid arthritis. A 2005 study from Kyoto University School of Public Health found salt water gargling was effective enough to prevent upper respiratory tract infections in healthy people. And, even when an infection did occur, gargling eased the symptoms of the infection. I use to get upper respiratory tract infections a lot. They are not fun! That’s why this is one of my favorite benefits. No congestion for me! Streptococcus mutans feeds on sugar to produce lactic acid and a sticky substance. The acid affects tooth enamel and the substance adheres to teeth, causing plaque. Combined, plaque and acid lead to tooth decay. This brings in the second concept. Salt water is alkali. So … the benefits of gargling with salt water include: neutralizing acid and reducing the risk of tooth decay. The third concept behind the benefits of gargling with salt water comes from the actual, mechanical action of gargling. By gargling, the tiny food bits between your teeth can dislodge and be spit out. That’s important since oral bacteria act on the food, creating acid and the sticky substance. And, you already saw that’s no bueno. Besides food bits, vigorous gargling can also bring up and push out tonsil stones. And, tonsil stones cause bad breath too. So getting them out will improve your breath. Salt water gargling relieves pain and helps with wound healing. Awesome right? Gargling with salt water can relieve pain from toothaches, canker sores and ulcers. This 2016 study found rinsing with salt water improves gingival fibroblast wound healing. Well, the connective tissues in your gums can heal much faster when you gargle with salt water. Essentially, salt water heals. The last concept behind the health benefits of gargling with salt water actually comes from its temperature. Warm salt water encourages blood to flow closer to the surface of your gum and skin. This promotes healing. The warmth also encourages mucus to flow more easily. In this way, gargling can pull out thick mucus build-up in your throat. I hate it when there’s nasal drip and mucus build-up. It’s so uncomfortable. Thankfully, salt water is there to get that crap out and get your throat back to feeling happy and healthy. So… there are real benefits of gargling with salt water! Add half a teaspoon of salt to an eight-ounce glass of warm water. Stir to dissolve the salt. Take a small mouthful of the solution and swish it around your mouth for ten to thirty seconds. Also, take a small mouthful, tilt your head back and force air out of your throat, essentially gargling. Aim to do this for ten or more seconds, but don’t aggravate your neck muscles. You will feel the benefits of gargling with salt water immediately. It is safe to use and can be repeated whenever you need. You can do this more often when you have a sore throat or a cold. It works! Sounds so easy that I must try it out! I didn’t know that!! Good to know!! I’ve only done this when I’ve had a sore throat. Interesting that there are all of these benefits! Thanks for sharing all the benefits of this. I need to add this to my morning routine!